That Selecta Mrs. Fields Ice Cream TV ad prompted me to write this review. What I will write about in particular is the NAIA Terminal 3 branch. But first of all, what’s the ice cream all about? Selecta has teamed up with Mrs. Fields to offer this summer sensation. The ice cream is made from vanilla topped with chocolate chip cookies baked by Mrs. Fields. If Selecta has tapped the latter’s help, then it must be that good. Watch the actual video of the TV commercial here. The local airport terminal branch is similarly good. It’s located in an ideal spot you won’t miss right before you enter the actual terminal premises. 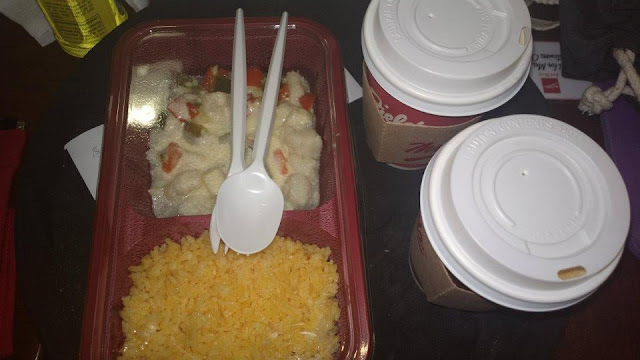 It’s perfect for those who have no time for a meal, being in a hurry to catch a flight’s check in. 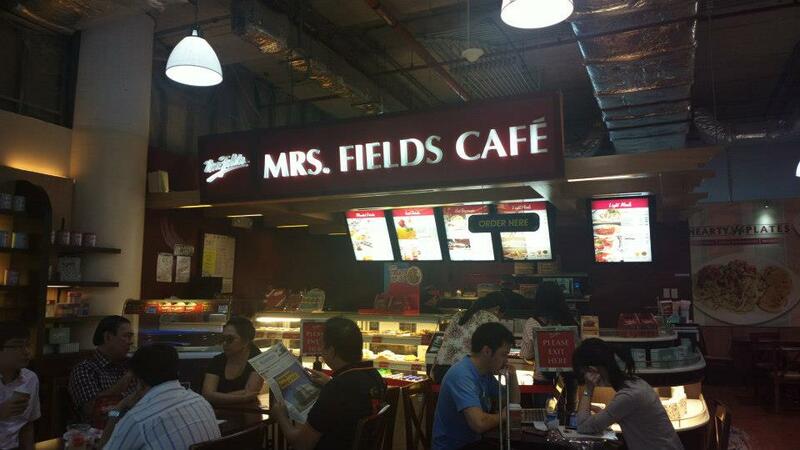 You can manage a full meal including lunch, dinner, breakfast, and even a snack through this Mrs. Fields branch. The branch is relatively small so you can’t expect that much when it comes to ambiance. Nonetheless, you’d still experience that vibe typical of any other coffee shop like Starbucks or Seattle’s Best. You can dine in for a meal anytime since they serve not only snacks but also offer chicken, pasta, and other short meals in the menu. There’s not really much for me to say but I simply love the fact that I had a meal before the flight through Mrs. Fields. And if you’re wondering, I didn’t throw up at the plane. For all other branches and other information about Mrs. Fields in the Philippines, visit their website www.mrsfields.com.ph.